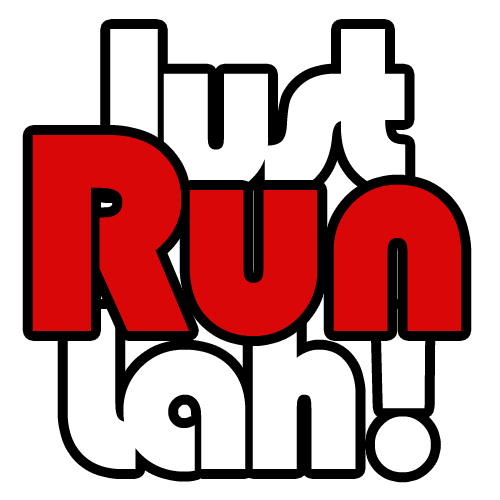 Athletics Entry Standards Announced for 2016 Olympics | JustRunLah! It’s going to be a tough competition for athletes seeking to make the cut in the 2016 Olympic Games, which will be held in Rio de Janeiro. Of notable interest is the change from ‘A’ and ‘B’ standards from previous years to single entry standards for each gender. 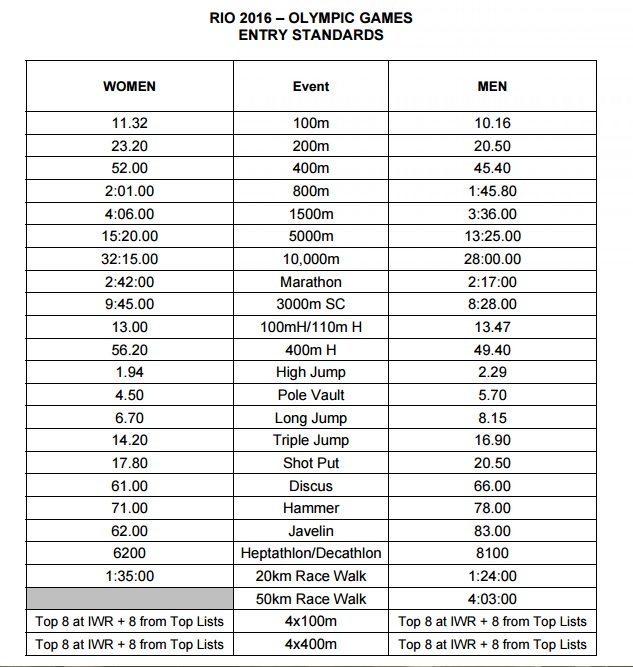 Announced at the International Association of Athletics Federations (IAAF) Council meeting in Monaco last November, this new unified qualification system, set “a little below old A category but above B category”, is argued to improve the overall quality of the event, but may result in some countries struggling to field a wide range of competitors. The standards have been approved by the IAAF at the world governing body’s 198th council meeting in Beijing. However, simply meeting the entry standards may not be enough to qualify for a spot in the Games. Back in 2013, it was announced that the International Olympic Committee (IOC) has capped the figure at 2,000, down from the 2231 who participated in the 2012 London Olympics. Athletics is the only sport to have its numbers scaled back for Rio 2016. Vice president of IAAF Sebastian Coe maintained that athletics remains the number one Olympic sport, despite aquatics and gymnastics being promoted to the top tier alongside athletics in the Olympics. Given the limited number of spots available, athletes will have to push harder, to get into Rio 2016. At the request of the Rio local organising committee and the Olympic Broadcasting Service, supported by the International Olympic Committee, the finals for the men and women’s marathons, the men and women’s 20km race walking and the 50km men’s race walking will be held in the morning. The decision was made to ensure the events receive maximum visibility for athletics at the Olympics across all time zones. IAAF competitions director Paul Hardy felt that leading distance runners “often have competitions throughout the year in the morning, such as road or cross country races, and so will be accustomed to this timing”, and will most likely “welcome this change to the athletics programme at the Olympics”. Athletics action at the next Olympics will take place from Friday 12 to Sunday 21 August 2016.